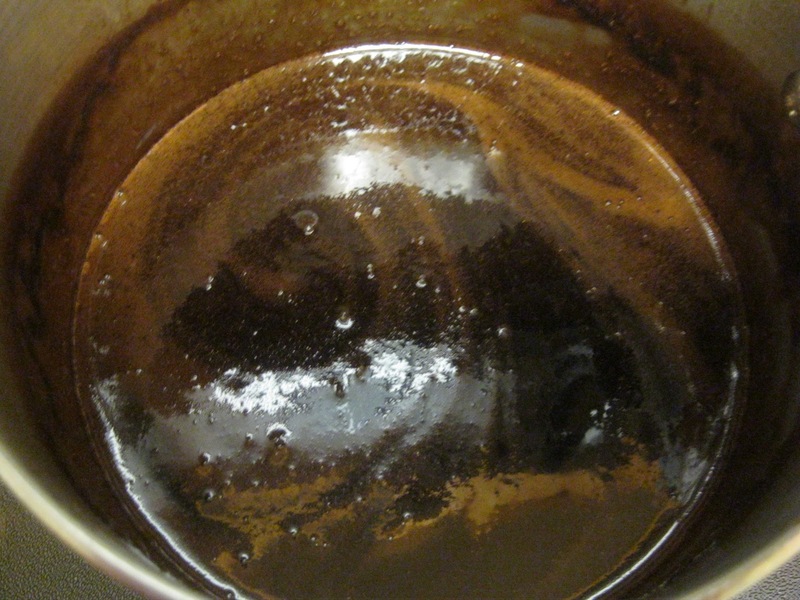 You may never spend money on a can of Hershey's syrup again! This easy to make recipe is pretty much identical to it. 2) It's cheaper, since you probably have all the ingredients in your pantry already! 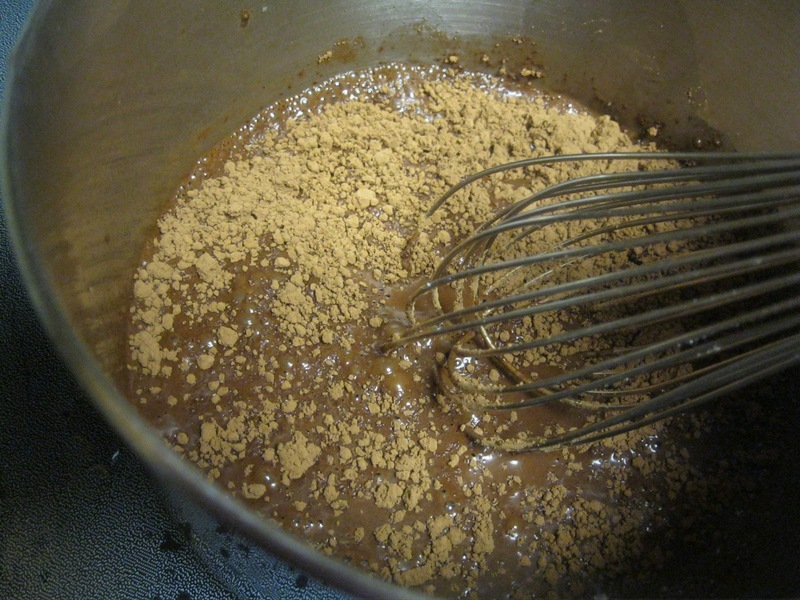 Use a 2 quart saucepan (don't use a smaller one). 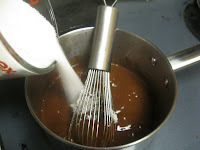 In saucepan mix the cocoa and water with a wire wisk. Heat the chocolate-water over medium heat, stirring occasionally, when it begins to boil, add the sugar and continue stirring until sugar dissolves. 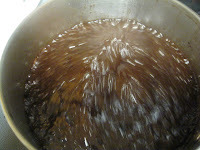 Bring mixture to a full rolling boil. Reduce the heat to medium low and boil for 3 full minutes. 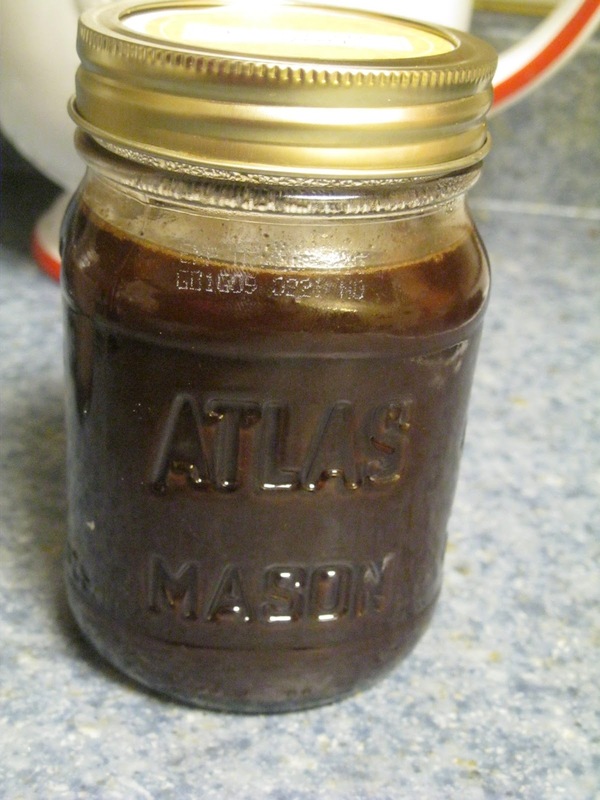 Remove syrup from heat. Add the salt and vanilla. Stirring to blend. 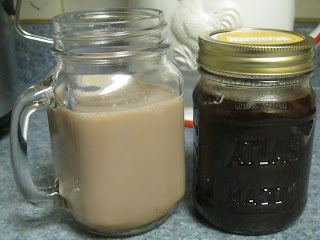 Let cool, then pour syrup into a clean pint sized canning jar, or refill an old chocolate syrup container. Store in the fridge. Deana, hope they like it! You could most definitely play around with the amount of sugar, probably would taste just as yummy with even less. Oooh! Thanks for sharing! I've also been scouting all labels for HFCS and so disappointed that it's in EVERYTHING! I will definitely be trying this and also formulating in my mind how to make strawberry syrup from organic strawberries. ooh, let me know what you work out on that! two of my "kids" would love it! Thanks Dorothy! I'm always excited when I have something Dessertish that I can post! I could go for some mint, but the kiddo's would never let me. May have to make a secret mom batch. Stopping by off the Hop. Thank you for sharing. I will be following along if you don't mind? And please feel welcome at "The Redeemed Gardener". Thanks so much for stopping by and also sending me such a lovely note. After a day of bad news at the dentist, you made my day! I wold love to stop by The Redeemed Gardener, thanks for the invite! I agree with you, Karen, 100 %! thanks for taking a moment to leave me such kind words! Great idea! I stopped buying Hershey's because of the HFCS, and had found organic chocolate syrup, but it's so expensive. Perfect alternative. Thanks! Thanks Hannah! I hope you and your family enjoy it! Glad you stopped by! So glad your going to try it! Believe it or not, I'm out too! I need to make another batch, myself. 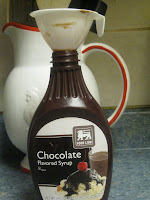 My husband and kids love chocolate syrup. Do you think it could be made with Splenda? My husband is diabetic and I need to limit his sugar. My husband is diabetic too! I have been meaning to play with it and see. I would think it would do fine, as long as it cooks down and doesn't stay grainy. I do think it's worth the experiment! Maybe try a half batch. If you get to it before I do, please let me know how it turns out! I am so glad I found this!! I saw one recipe online, but even that used Karo syrup. My kids are going to be so excited to not only try this, but to help me make it!! Thanks. Jenn, I do hope the kids enjoy it, I know mine do! Let me know what they think! Just made it today and it's great! I like it better than Hersheys and I like that you can adjust cocoa/sugar to suit your taste. Thank you again for the recipe! Yeah! I'm glad you like it! I do like that you can adjust the recipe to suit your preferences, and I make it all the time, my teenager loves it for Chocolate Milk after school. Michele, I do hope he likes it! I have a feeling you may be making it as often as I do, because he wont' be able to stay away from it! How long will it stay good? My family never lets mine last long enough to find out! But, at least a month for sure, probably longer, I just can't say 100 %. Hope this helps! I know this was posted over a year ago, so I'm not sure anyone will even see this, but I'm going to ask any way. My son loves to cook and experiment in the kitchen. I prefer dark to milk chocolate. Was wondering if anyone ever made this with more chocolate or less sugar, or if there's a way to make it taste more like dark chocolate. Thanks! Risa, great question! I haven't heard from any readers yet on the dark choc. but I am SURE it is very doable! I know that Hershey brand makes a "Special Dark" powder and I reduce the sugar ALL the time!, Maybe start out by reducing the sugar by 1/2 cup the first time and see what you think. 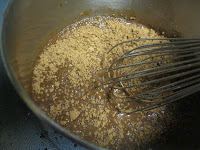 You can always reduce it another 1/4 or even 1/2 cup depending on your taste preference on the next go around! I'd love to hear how it turns out !